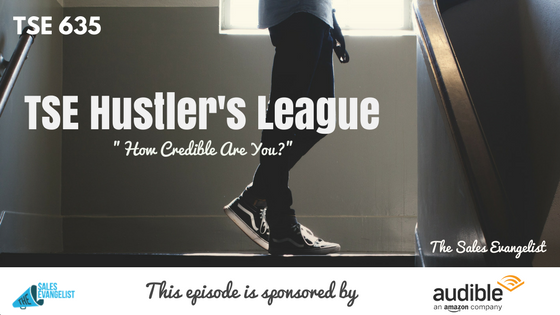 Today’s episode on the TSE Hustler’s League touches on the topic of credibility. We could be too focused on other areas of selling that we tend to leave out the credibility part which is just as equally important. So I want to share with you some insights into how you can build that credibility. It’s measured by a customer’s willingness to pay for it. It commonly depends more on the customer’s perception of the worth of the product than on its intrinsic value. Maybe for them, the value of having a car is something that can help them take their kids to daycare with A/C in South Florida. So maybe the value of the car to them would be the A/C and safety. Hence, value depends mainly on that prospect. 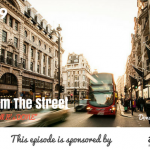 As sellers, we should be able to understand that and know how to articulate it to them. These are things your prospects don’t fully appreciate. What you can do: They may have been played down by the company. Is there a way you can get ahead of that? Focus on undervalued need. These are the needs your prospects might have forgotten because they’ve done work around or they’ve put band-aid on it. What you can do: Try to demonstrate the importance of making that change. Show them other ways that they can do their business. These are the things that they’ve never even thought about it. These are things that have never crossed their mind. They don’t know these needs ever existed. These are problem they have but because they’re underneath the service, they don’t realize it’s affecting them until you’ve pointed it out. What you can do: Do research on the unconsidered needs your client doesn’t realize about your product or service. It’s defined as the quality of being trusted and believed in. Credibility leads to trust and trust leads to us making more money. People do business with those they know, like, and trust. Back it up through testimonials. Offer an opportunity to opt out. You need to set the rules before you play the game. Be willing for them to say no. Accept it and move on.